This sweet-tangy spread makes a great filling for your tart, pies, cakes, macarons and many more or just use them on your toast. Made using simple ingredients like eggs, sugar, lemon and butter and easy to whip-up too. make sure to keep the heat low and whisk constantly to keep the eggs from curdling. In a sauce pan whisk together eggs, yolks, sugar till smooth. Over a low heat gentle heat the mixtures. Now add the butter, juice and zest; whisk continuously till the mixture thickens (thick enough to coat the back of the wooden spoon). Strain through a sieve into a sterilized container to remove any lumps and they will stay up to a week in the fridge covered. Absolutely fantastic….. I can almost taste it! 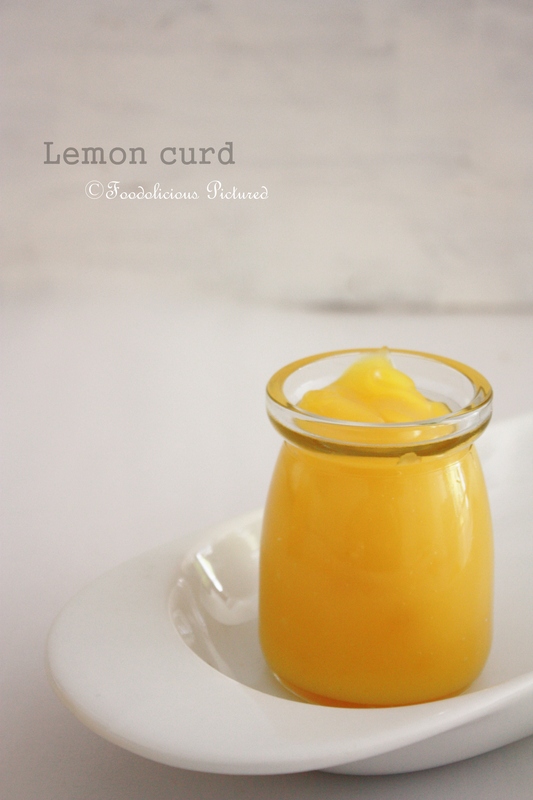 Delicious lemon curd Rekha, lovely picture. Looks perfect. I was just looking at a lemon curd recipe yesterday on a Turkish cookbook and they used cornstarch. Need to try this version. Great photography, Rekha. 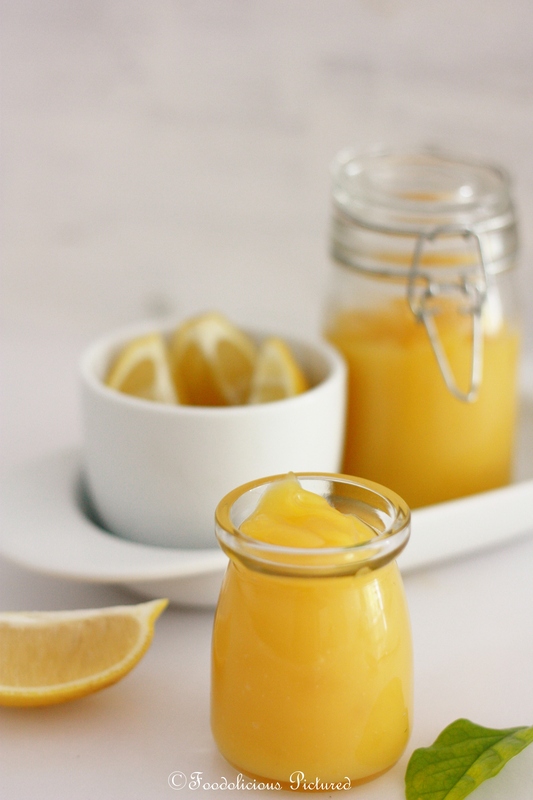 Have not made lemon curd myself .. Would love to give it a try .. 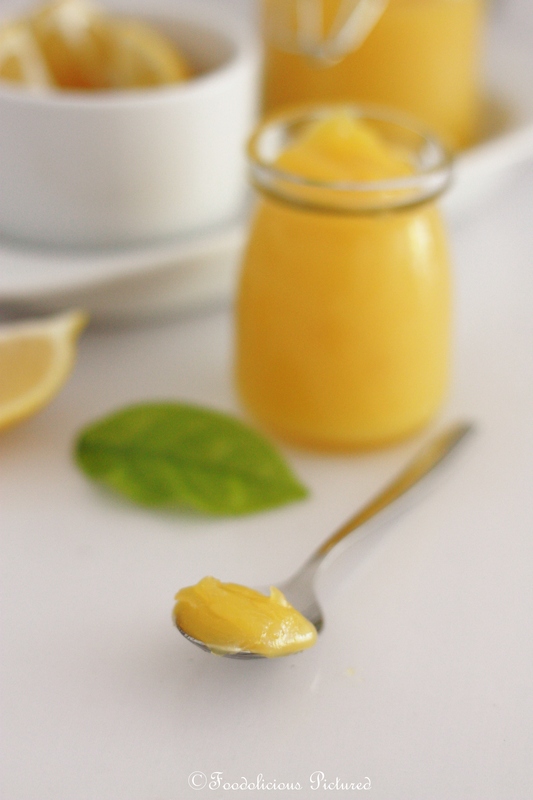 Loved the Lemond curd and its bright color, its calling out SUMMER!!! !